"I was born under unusual circumstances." And so begins 'The Curious Case of Benjamin Button,' adapted from the 1921s story by F. Scott Fitzgerald about a man who is born in his eighties and ages backwards: a man, like any of us, who is unable to stop time. We follow his story, set in New Orleans from the end of World War I in 1918 to the 21st century, following his journey that is as unusual as any man's life can be. 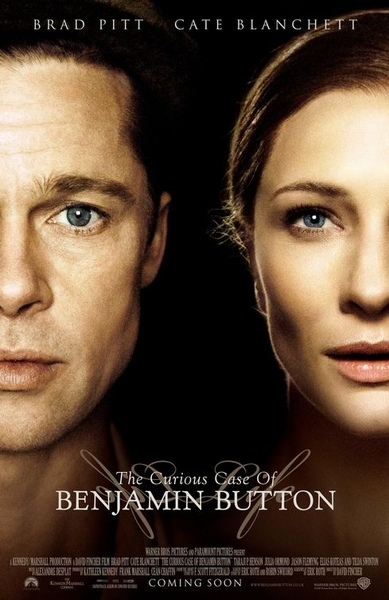 Directed by David Fincher and starring Brad Pitt and Cate Blanchett with Taraji P. Henson, Tilda Swinton, Jason Flemyng, Elias Koteas and Julia Ormond, Benjamin Button is a grand tale of a not-so-ordinary man and the people and places he discovers along the way, the loves he finds, the joys of life and the sadness of death, and what lasts beyond time.